Back in Holland again after a great Championships. 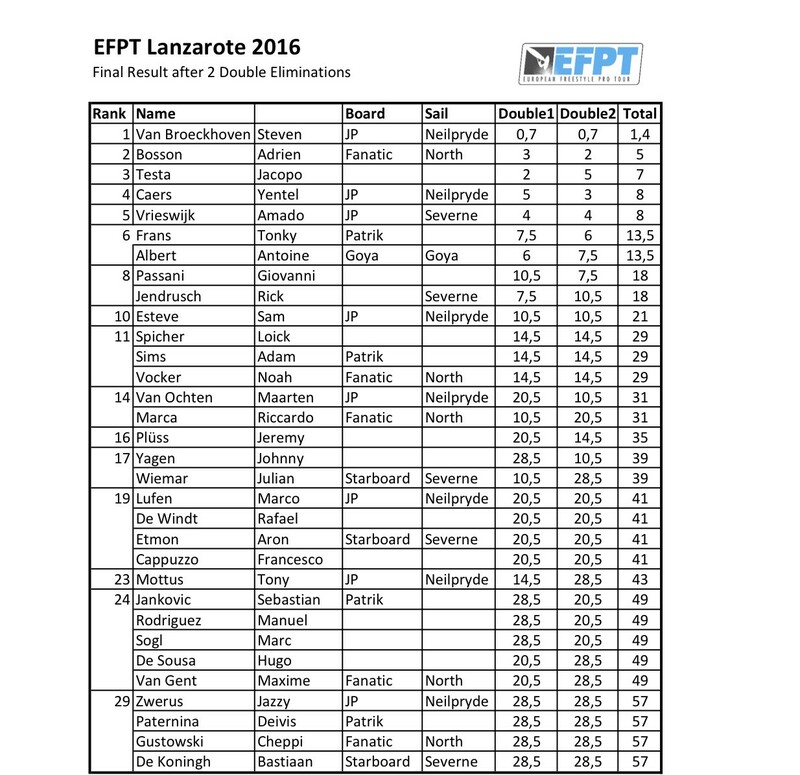 Finished 14th overall after 2 double eliminations. This championship was “AMAZING”, we’ve had incredible conditions during the contest. Waves, strong wind and level during this contest was the highest we’ve seen so far in any Freestyle competition! Very excited to break in the top 10 again in second double elimination (9th place). Still need to improve my contest sailing more and more. So time to review learn and train harder 😉 Congrats to my friend Steven van Broeckhoven winning the event and of course to all other riders, everyone was ripping so hard! Last but not least, big shout out to the organizers of this event very proffesional we’ve been spoiled by you! To sum it up: moving forward and craving for more of this! “Maarten Van Ochten (JP/Neilpryde) was filling his sheet against Manu Rodriguez , Loick Spicher and Tonky Frans who eventually ended his run through in a very close heat. 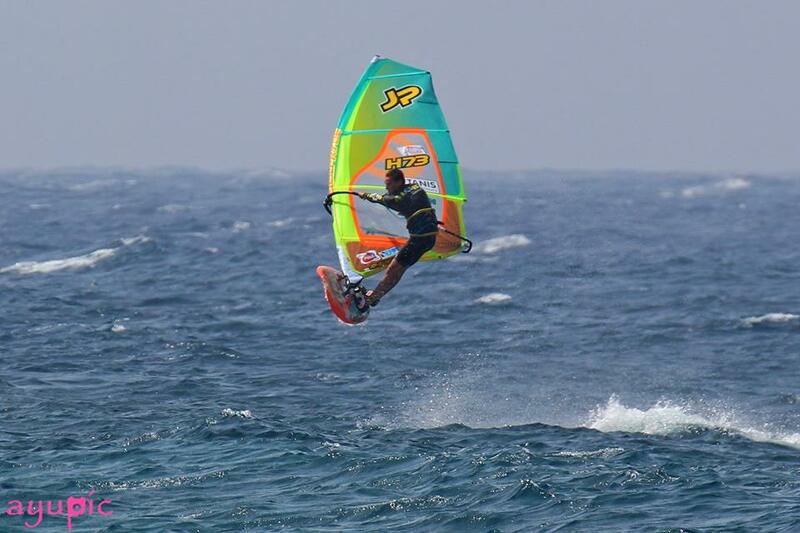 Van Ochten showed shakas, shove it spocks, forwards, air-chachoos, burners, burner 360ies, switch chachoos and airfunnel 360ies and proved that even after a break in competition sailing he was still a rider to watch out for”!